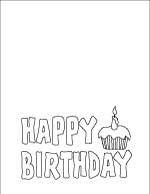 Choose your favorite design for a crafty home made birthday card from our patterns and printables for all ages. 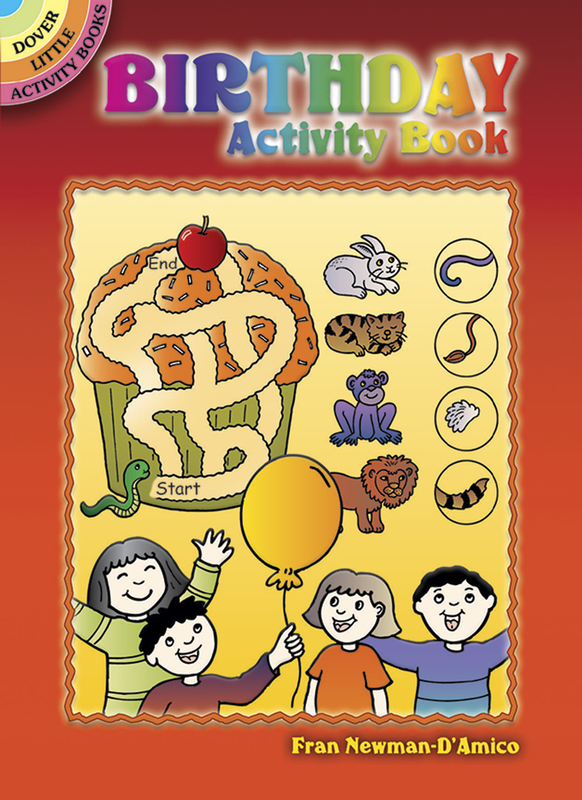 You'll find photo cards, illustration designs and coloring cards in this collection of birthday greetings to make and give. All our printable craft pages are ready to print PDFs set up for US letter size paper or card stock (8.5"x11"). 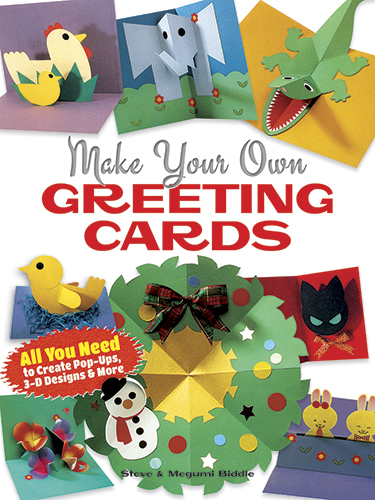 Our ready to use cards and templates / patterns are designed to make the most of your paper or card stock with little or no waste. Load your choice of paper, photo paper or card stock into your printer and then print as many copies of the PDF files as you need. The classic party treat, a cupcake, with bubble letters to spell out Happy Birthday. 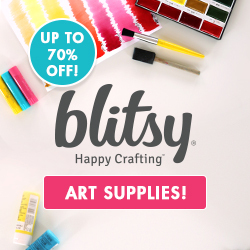 Create your own fancy color scheme with this calligraphy word art designer card. Two fancy decorated cakes pictures, ready for you to color and craft into jumbo greeting cards. 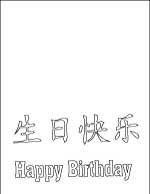 Print, color, cut out and paste your cake image onto card stock or construction paper. 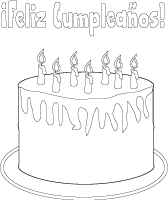 Each printable template includes bubble letter greetings in English or Spanish. Got a friend or family member born on February 29? 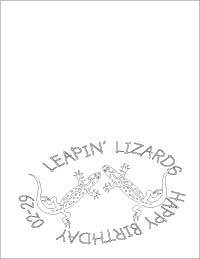 Here's a fun leapin' lizard card to make for their special day! Print and cut out this sweet pretty pink Double Sweet 16 birthday card. For extra special sparkle print the card on photo glossy paper or use heavy card stock and embellish the design with glitter. A ghostly fairy shadow in white with a pale lavender fairy image make this a truly magical birthday greeting, Wishing You a Fairy Happy Birthday. 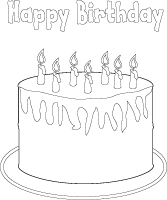 Here are our most popular birthday craft templates and activity sheets.